There are actually many things to consider before you apply for Google Adsense. A lot of people have different ideas to share concerning what you should do for your adsense application to get approved. One fact that is certain is that it is no more easy to get a legitimate google adsense network for your blog (wordpress or blogger) or even for your website. But don't be discouraged! Google just tightened the adsense-approving policies. You only need to understand the concept of these policies and avoid violating any of them. Also remember that google adsense and other PPC Ad networks are not the only ways to make money as a webmaster. I will reveal some other high paying google adsense alternatives and other sources of income apart from Ad networks. This article is a bit lengthy but will surely transform and help you achieve your target as a webmaster. So relax and take a cup of tea! Read it bit by bit! In one of my articles, I revealed the 7 SIMPLE STRATEGIES TO INCREASE YOUR GOOGLE ADSENSE EARNINGS. Note that Ad networks are not the only ways to make money online. You can also make cool cash by writing and publishing books on platforms like Amazon and CreateSpace. In one of my tutorial articles, I explained How to Setup and Publish your Book on CreateSpace. But have you ever asked why Google Adsense is the most popular and trusted PPC/CPC Ad network? There are thousands of other ad networks but every webmaster or bloggers yearns for google adsense. Google ad network is more efficient than any other ad network. This attribute tends to draw more advertisers to them. Advertisers are always willing to pay because they get what they pay for. When compared to other ad networks, google adsense is more liberal to its publishers which are mostly webmasters and bloggers who they use their websites to for advertisements. A click from one ad banner can fetch a publisher more than $20 (depending on the location from which the click was made) which is very encouraging. Also Google adsense is one of the oldest ad networks in the world today. ==> How long does it take to approve AdSense? ==> What are Google AdSense requirements? ==> How do I get an AdSense account? ==> How can I use Google AdSense in my blog? ==> What is the minimum number of blog posts I should publish before applying for Google Adsense? ==> What is AdSense account for Youtube? I once asked these questions until I discovered the latest working secret behind Google adsense approval strategies. I blogged for two years without being able to get an approved google adsense account. I tried different CMS (including blogger, wordpress and joomla) but to no avail. I surfed the internet, tried the various tricks suggested tricks, re-applied several times without any success. The truth is that Google will never tell you the particular reason why your application was rejected. But am happy today that I finally found these hidden secret to getting an approved google. 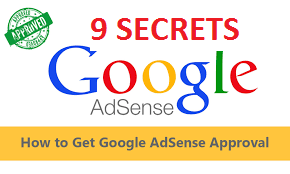 Today I will reveal these ten secrets to getting an approved adsense account to you. But also note that google adjust their policies from time to time! Don't just stick to these secrets alone. Carryout research from time time. I will always update this post with any new secret I discover. So always revisit this post to check the latest updates. I will drop one amazing tip on getting an approved adsense account. So study this tutorial article carefully to the end. Before I go on with the revelation, let me tell you some reasons your google adsense applications were rejected. Most of these reasons was why my previous adsense applications were rejected. A template or page with poor designs and customization scare visitors away. Besides, even you will never like to come back to a website if your last experience in the website was not encouraging. Google cares a lot about its customers and its business, just like every real entrepreneur does. Google Adsense usually calls this "Insufficient content" but I chose to call it "Unacceptable site content" because it does not really mean that you have lesser number of post or lesser number or words per post. It means that the quality of your website's content is low or poor. These could be because you copied from other websites or the grammatical errors were too much, keyword ans SEO abuses, etc. The saying that, "Quality is the king can never be over emphasized". Always bear this in mind when writing posts! Google Adsense applications are no more reviewed by robots or google bots but by Google staff. How do you feel when you see a poorly written article? 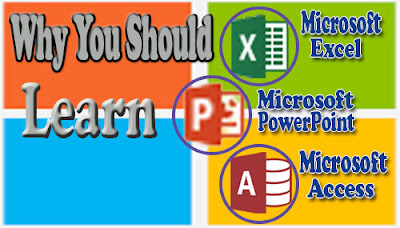 A high-quality content is known with these features: uniqueness, usefulness and informative, free from grammatical and typographical errors, organization, etc. Once the contents of your site are of very high quality, you don't need to have hundreds of blog posts before you will be accepted. This Site Microsoft Tutorial got an approved google adsense account with just fifteen posts. Is it not pretty cool? Another thing to avoid when trying to write high quality content is copyright images. Always make sure an image is free from copyright before you use them. You can always get free images from sites like pixabay.com, freeimages.co.uk, istockphoto.com, etc. Although some of their images are paid images, but they are copyright free. Another way to avoid copyright images is to first download the image on your pc or smartphone and then rename them before you use them. Don't copy image URLs. Always upload the images from your device. ==> Illegal Drugs (Paraphernalia), etc. Recently Google AdSense team stopped accepting accepting adsense applications from these niches because they are already saturated. You can join niches like Health and fitness tips, Software tutorials, etc. These niches are still competitive but less saturated and as a result have higher and faster chances of adsense approval. This website is under software tutorial niche. Always check up these pages in top blogs and websites in the same niche with you and see how they organized theirs. Just mimic their styles. Ensure that you place these pages at point where visitors can easily find it like at the header and footer of blog or website template. It helps to speed up your adsense verification process. Your About Us page describes you and the services you provide in your website. So it plays a very vital role apart from being a necessary requirement in adsense approval. Take your time to write one for your website before you re-apply for google adsense. Your Contact Us Page helps to link your customers directly to your by providing them with your contact information such as email address, social media account links, etc. It is very necessary to create one before applying for google adsense. It tells the extent you care about your customers. Ensure that you add an active email address to our contact us page. It is more advisable to use a custom email address like contact@yoursitedomain.com. Use Google apps to create a domain specific email address. Also add your social profile links. You can have a look at my Contact Us page. Google adsense now gives higher preferences to people using custom domain names. By custom domain name, I mean those domain names without phrases like ".blogspot.com" (for blogger) or ".wordpress.com" (for wordpress). they are called sub domains. Before now, webmasters get approved google adsense account with sub domains, that is without custom domain names. But recently, it is no more possible. I once tried getting one last year but could not. 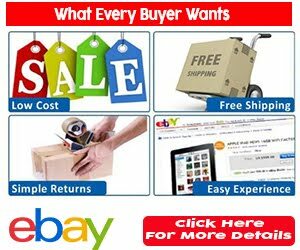 Buy Top Level or custom Domain name. It will cost between $10-$15 per year. You can buy the domain from Godaddy (best domain registrar) or Namecheap. The best extensions are ".com" extension. There are other extensions like ".net" (more costly and more secured). You can also get some country specific domain extensions like ".co.uk"(United Kingdom), ".co.us" (United States), ".co.in" (India), etc. Also try to use domain names that reflect your site's niche. It helps people to know what your site is all about by just reading your site's domain name and it also a good SEO (Search Engine Optimization) technique. There has been this rumour that google adsense only approves application from websites that are not less than six months or one year old. But I have seen many sites that are less six months old but got google adsense approval. Your blog or domain age does not really matter. This website got adsense approval with a domain that is less than one year. So do not be discouraged! What is the minimum number of posts before I can apply for Google AdSense? There is no specified answer. What matters is the quality of the content and yor blog niche. For example, a health blog with 10 high quality posts can be approved by Google adsense. I have also seen a blog with 150 posts but was rejected by google adsense. Another important thing is the length of the posts and its organization. In general, ensure that your blog hasat least an average of 20 posts with at least 500+ words (quality contents) before you apply and reapply for adsense. By "Organization", I mean how you use your tags like the h1, h2, h3, etc. Your post title should contain a h1 tag, then the next title should be h2. Don't use too many h1 tags within one post. Use h2 and h3 tags for less prominent sub titles. The outer look of your blog or website is the first thing your visitor will notice. It gives your site a lot of impressions. Your blog design matters a lot. Nobody will like to read an article with ineligible characters. Not even YOU! Your blog template should be professional and not messy. Google and search engines like clean, professional and fast-loading template designs and blogs. There are lots of free professional and SEO friendly site templates for blogger and wordpress blogs. Some professional premium templates cost some buck but they really worth it. Just search the web and make a good choice. Google likes and appreciates websites that get more of organic traffic (traffics from search engines) and through social media. Google adsense can never approve applications from sites that pay for traffic or get them through illegal means. This is because such illegal traffics do not come from real humans and therefore can never convert well if ads are allowed to show on such sites. Renember that every private company is profit oriented and no one will ever like to invest in a project that will nit yield profit, even you! Always target traffic from legal sources like social media, search engines, and related blogs (backlinks). Google adsense is a private firm and all private firms are naturally jealous. That does not mean that you can not use your adsense togetger with other PPC (Pay Per Click) ad networks, but within the period of submission and review of your adsense application, remove every other ad networks like Chitika, Infolinks, Clicksor, propeller Ads, media.net, Bidvertiser, etc. Ensure that your blog free from ads. But do not get me wrong! Google AdSense allows you to use other ad networks along with them, it’s better to remove the ads before applying and don’t put them back until you get approved. Normally it takes like one to two weeks for your google adsense application to be approved if your site meets all the requirements. I promised to reveal one amazing tip of getting an approved google adsense account. So the secret is that whenever you want to apply for google adsense, use a new gmail account that is not associated to any other gmail that has an approved google adsense account. Once google discovers that the new email is connected to one that has an approved adsense account, they will assume most times that you are trying to get another approved adsense account. Also, recently google no longer allow publishers to use one domain name to get two different adsense account. That is to say that: it is now one domain name - one google adsense account. So if you have used your current domain name to get an approved adsense account, then you need to use another domain name. These two tips are very important so take them very serious. Have you been rejected many times before now? Don't worry! Just apply these 9 awesome secrets and apply them step by step. Then reapply for google adsense. You now have a higher probability of getting an approved google adsense. Is your adsense still disapproved after applying these adsense secrets? Google adsense is not the only CPC/PPC Ad network. There are many alternatives to adsense. Remember google adsense and other PPC Ad Networks are not the only way to make money as a blogger or webmaster. There are other sources of income that really pays well. You can write and publish books (kindle and paperback), article writing, you can even make money with anything you can do at fiverr. Inform your friends about this post by clicking the share button below. Comment below if you are have some new suggestions or contributions. Thanks for the great post with well-detailed tips. You broke it down to bits and made it easier to understand. can you help me by adding an ad on my blogpost..?? Awesome post. Great work admin. Thanks for the long educative article. Keep doing the good work. AFAIK, Google *does* reject some applications based on the age of the site. Last I read, it was sites less than three months old -- I don't recall seeing anything about the age of the domain, however. I have send an application for google adsense approval. They send me an email that i have low content may be it's some kind of another issue. Thanks for sharing your views on this topic.